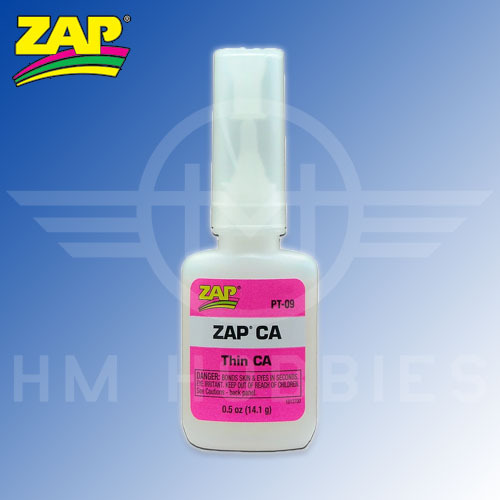 Thin viscosity cyanoacrylate glue (CA super glue) with a workable time of 1 to 5 seconds for positioning. 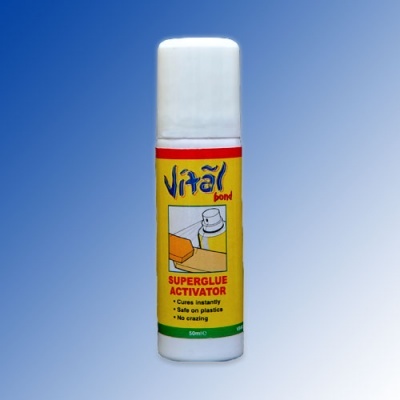 Super-thin penetrating formula. Works great on most materials, especially balsa and other soft woods. Excellent "wicking" action. Strengthens fibreglass cloth. Some uses besides hobbies and crafts include; jewellery manufacturing and repair, taxidermy, mould and pattern making, furniture refinishing and antique repair, auto detailing, archery, darts, and ceramic repair. Bonds in 1 to 5 seconds.